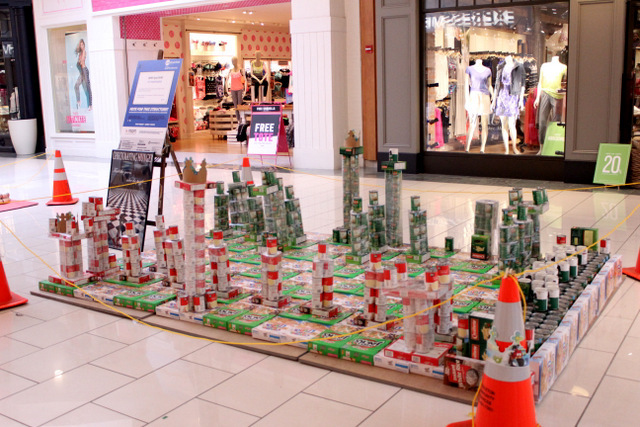 Nearly 2,500 votes, through Facebook, Instagram, text and in person, were cast for the 8th annual Canstruction® Madison People’s Choice award. The event was held April 23 – April 29 at West Towne Mall in Madison, WI. 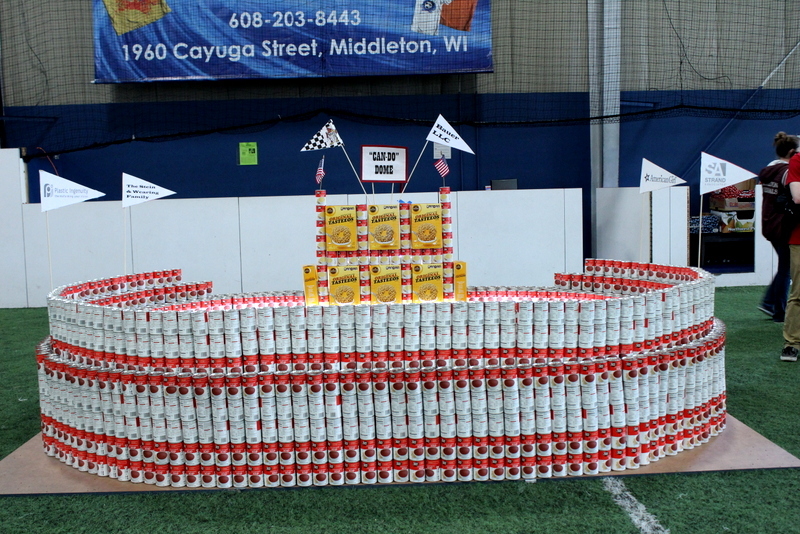 Hosted by Middleton Outreach Ministry (MOM), 17 teams from businesses, churches, schools and organizations around Dane County built giant structures made of canned goods and packaged food, and competed for awards. This year’s theme is “Rock Can Roll”. “We are so thankful for everything that the teams gave to make this year’s event such a success. The collective creativity and generosity of these teams not only provides education and awareness surrounding the issue of hunger in our community, but provides significant food to keep our shelves full throughout the summer,” said Ellen Carlson, Executive Director of MOM. The MOM Food Pantry is one of the largest food pantries in the area, serving West Madison, Middleton and Cross Plains. The Awards Ceremony was held in the West Towne Mall Food Court on the evening of April 29 at 6:30pm, featuring emcee Amy Carlson, NBC15. 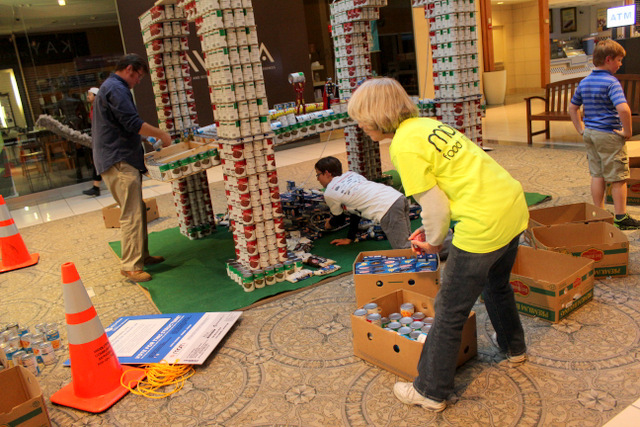 Canstruction® Madison 2018 is generously presented by Godfrey & Kahn, Chase Brieman of CBRE, and Associated Bank. 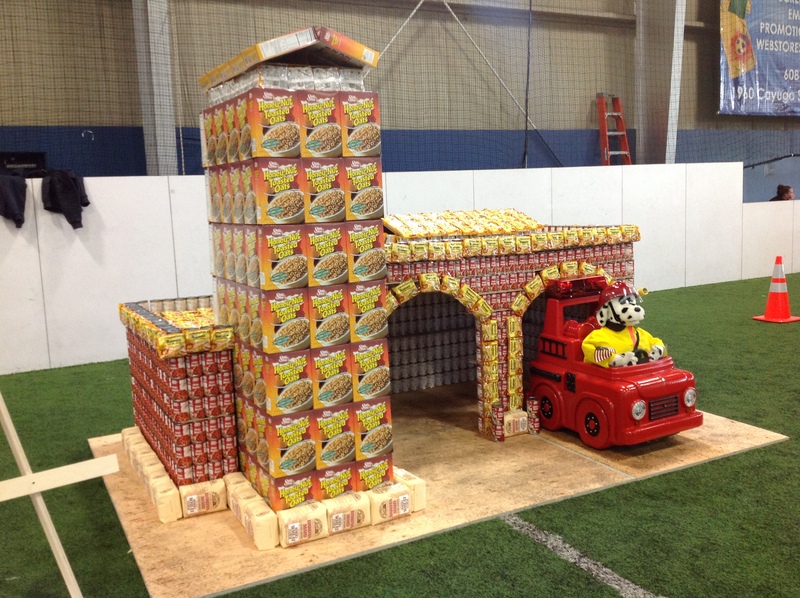 Hosted by Middleton Outreach Ministry (MOM), 15 teams from businesses, churches, schools and organizations around Dane County built giant structures made of canned goods and packaged food, and competed for awards, for this year’s 7th annual Canstruction® Madison. This year’s theme was “Can Film Festival”, and structures were based on themes such as the Oscars, the Red Carpet, movie theaters, and movies such as The Titanic, Beauty and the Beast and Twister. 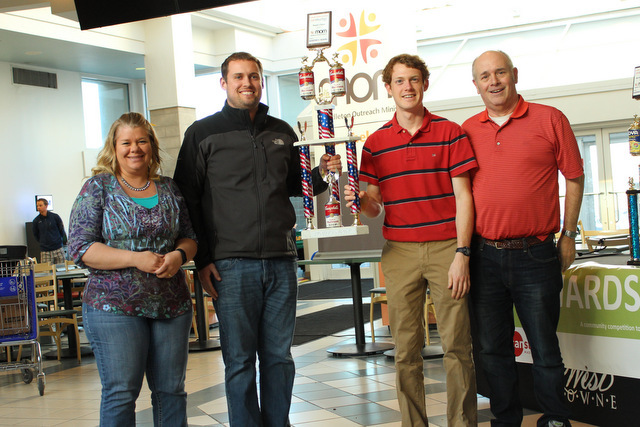 The event was held April 18 – April 24 at West Towne Mall in Madison, WI. 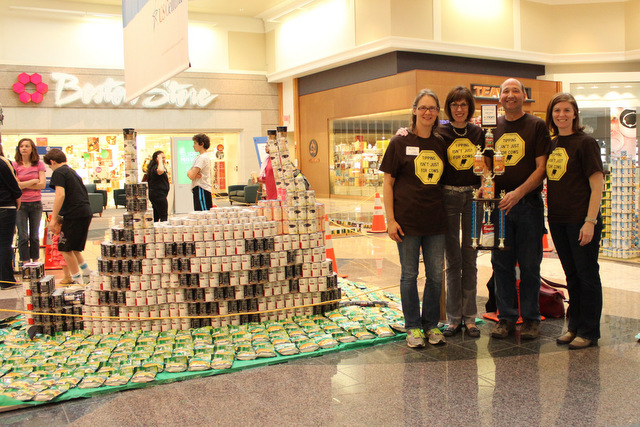 Over 1,500 votes, both in person and online, were cast for the 7th annual Canstruction® Madison People’s Choice award. 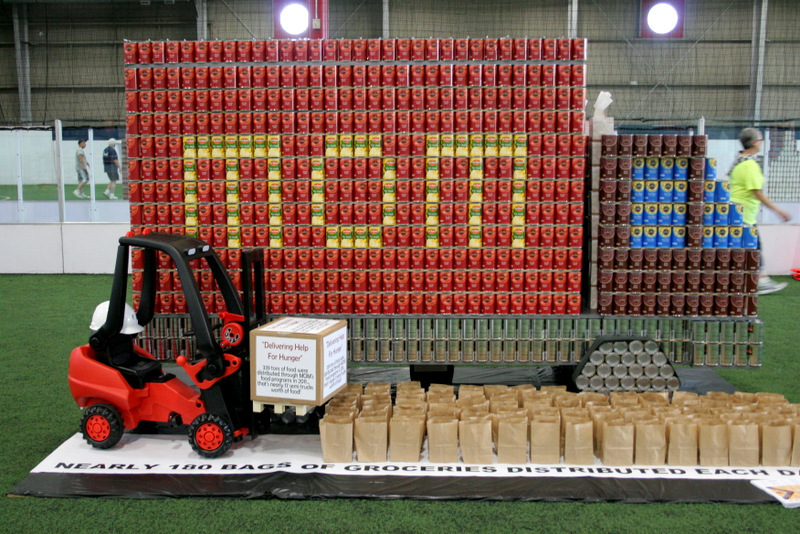 Over 35,000 cans were collected for the MOM Food Pantry, as well as nearly $30,000 in support. See the full list of teams. “We are unbelievably thankful for every team, and in our eyes, they are all winners! The collective creativity and generosity of these teams not only provides education and awareness surrounding the issue of hunger in our community, but provides the food we need to keep our shelves full throughout the summer,” said Al Ripp, Executive Director of MOM. The MOM Food Pantry is one of the largest food pantries in the area, serving West Madison, Middleton and Cross Plains. MOM distributed over 1.4 million pounds of food in 2016. 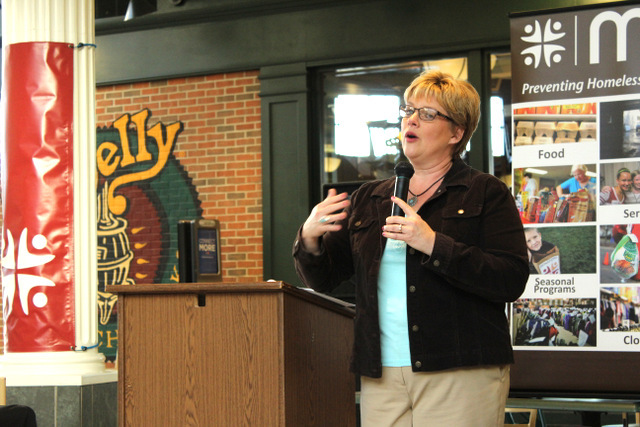 The Awards Ceremony was held in the West Towne Mall Food Court on the evening of April 30 at 6:30pm, featuring emcee Amy Carlson, NBC15. 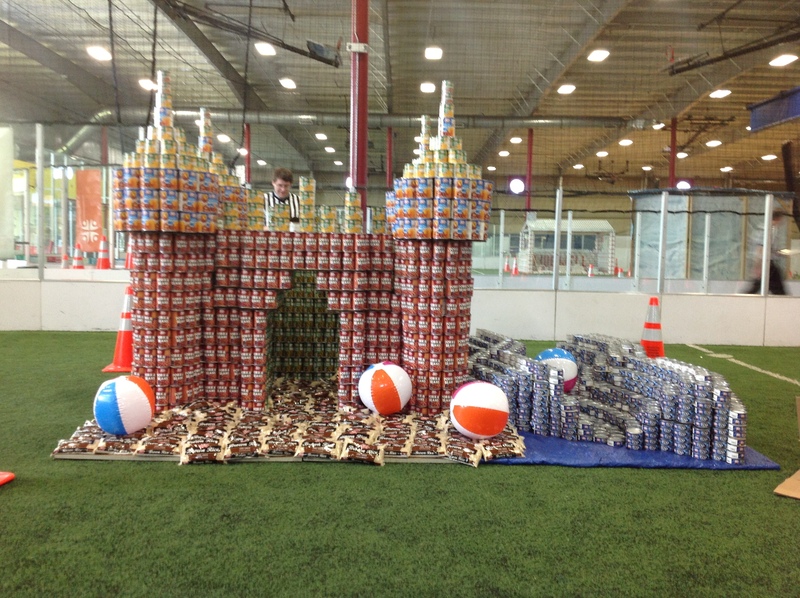 Strand Associates: “Be Our Guest, Be…Our…Guest, put CANstruction to the test” for winning Most Nutritious Meal award. Flad Architects: “Live From the Red Carpet” for winning Best Use of Labels, Celebrity Judge’s Choice (chosen by judge’s from the Wisconsin Film Festival), and Most Cans awards. The community was also invited to participate by buying a “Can of Hope”. For $10, a yellow can with the donors name was added to Dorothy’s Yellow Brick Road. Donors raised $2,000 in donations and met Zendesk’s Challenge Grant which donated an additional $1,000. All donations support MOM’s efforts to end hunger in the community. 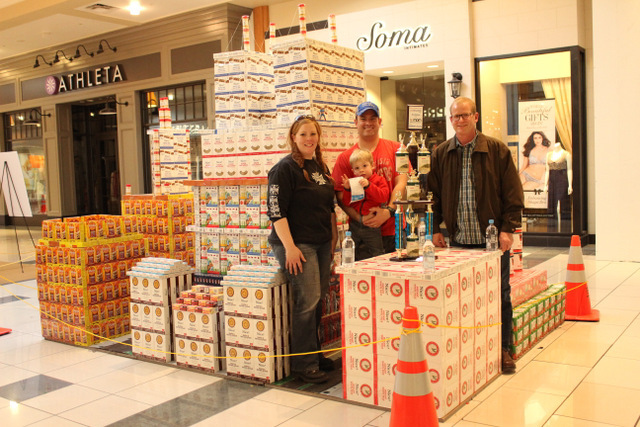 Canstruction® Madison 2017 was generously presented by Godfrey & Kahn and Associated Bank. 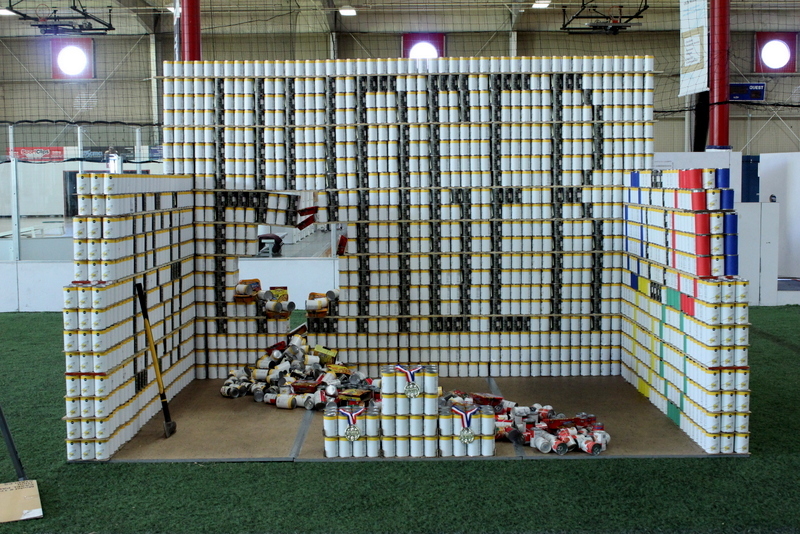 How do a giant replica of an acropolis or the Olympic rings, along with 18 other hand-built structures help end hunger in western Dane County? 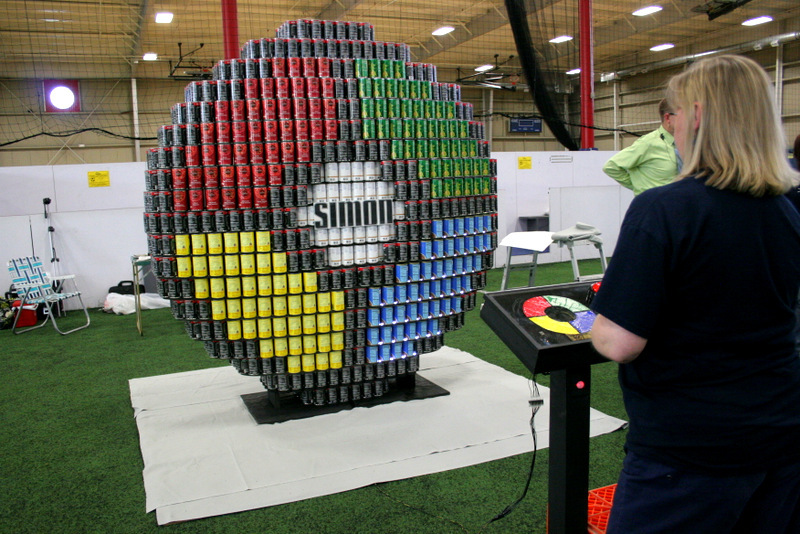 When made from cans of food and packaged goods, the structures’ building blocks will fill the shelves of one of the largest food pantries in Dane County. 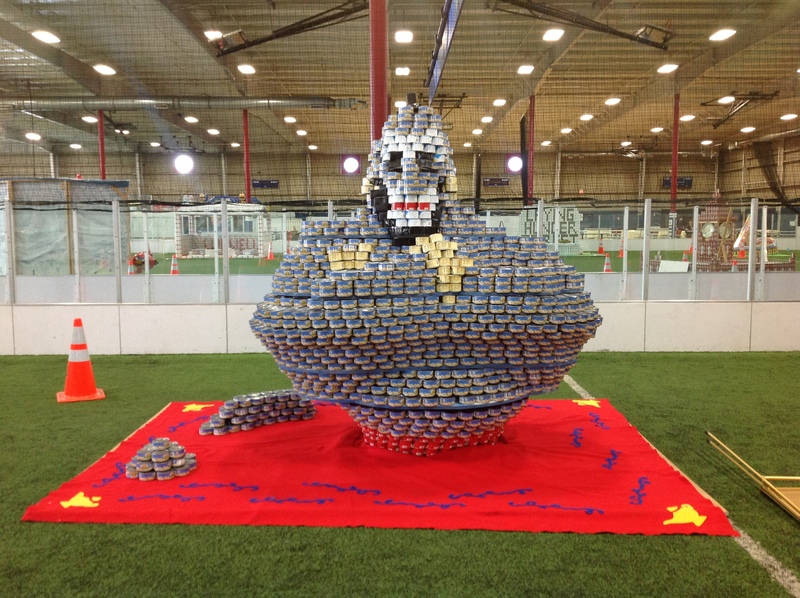 Middleton Outreach Ministry (MOM) hosted the fourth annual Canstruction® Madison, which in conjunction with a community wide food drive, raised over 28 tons of food to feed area people in need. 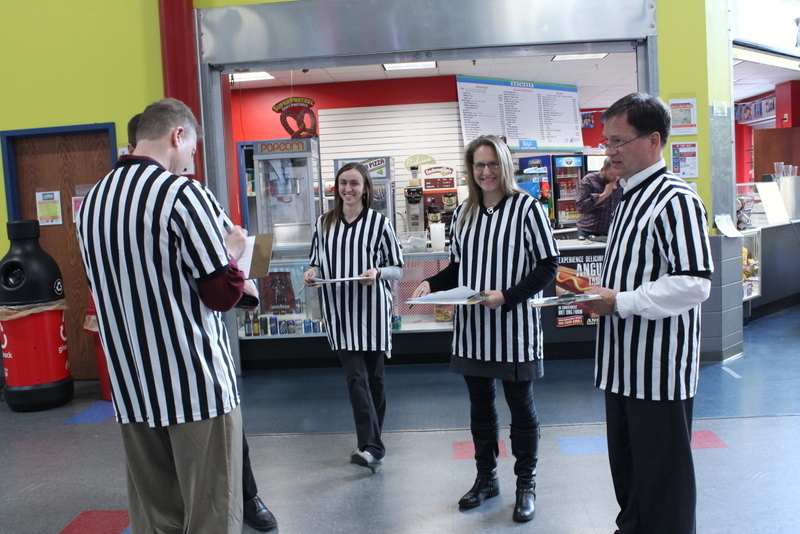 The event took place at KEVA Sports Center in Middleton. 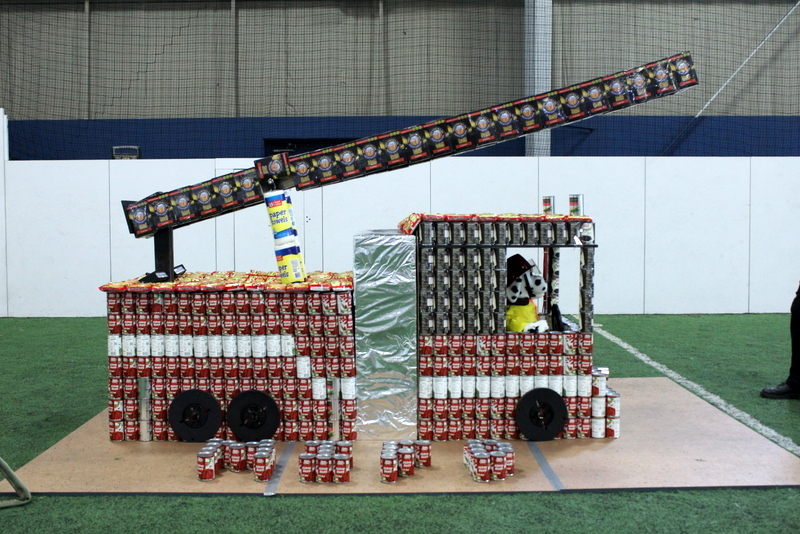 Canstruction®Madison is a competition where community members come together to build incredible, highly imaginative structures out of canned goods and packaged food. After the structures are built and the winners are declared, all food used in the structures is donated to the MOM Food Pantry. Teams plan their structures weeks in advance, and then come together on the day of the event to build their displays. Prior to the evening event, the structures are judged by design professionals and community leaders. Event go-ers were encouraged to bring a single canned food donation as a suggested entry fee, and over 1,000 pounds of food were collected. 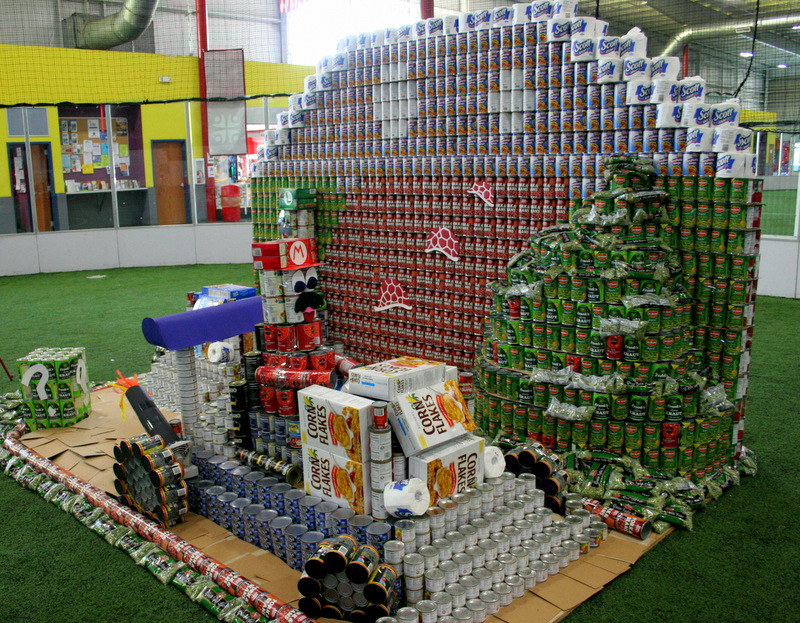 Most Cans: Exact Sciences, with Cancropolis, featuring more than 5,500 cans of food. 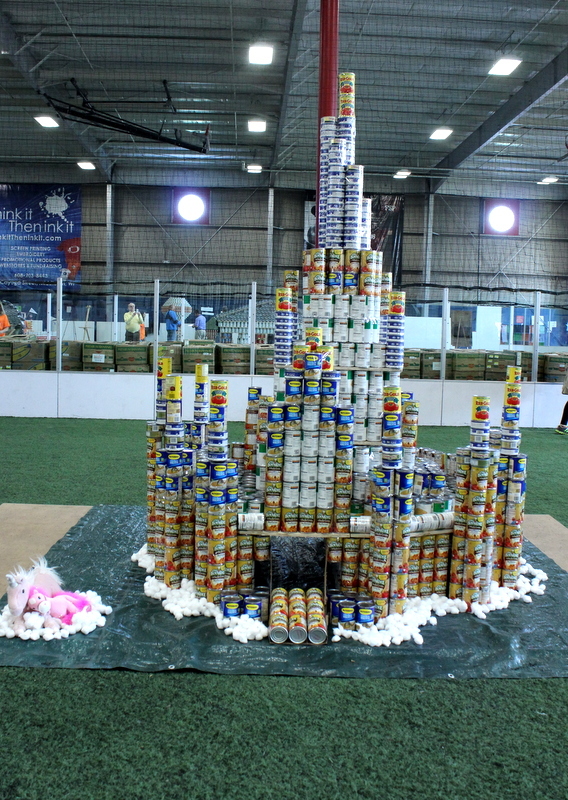 Most Nutritious: Glacier Creek Middle School Builder’s Cub, with Cinderella’s Castle. Best use of Labels: Asbury United Methodist Church with We Can Do It, with Rosie the Riveter. 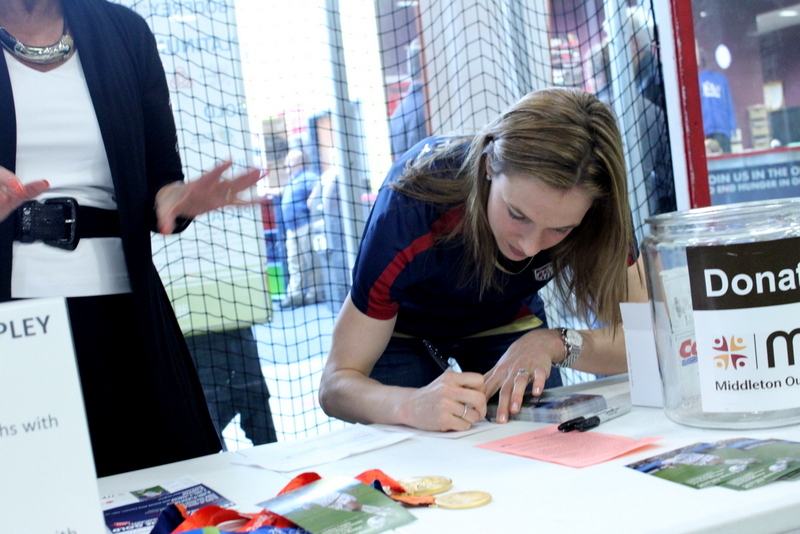 Also at the event was Olympic gold medalist Lindsay Tarpley, who not only served as the Celebrity Judge but also signed autographs and let event-goers hold her gold medals. In 2003, Tarpley was named Soccer America Player of the Year and led the University of North Carolina to the national title. On the international level, she helped the U.S. win gold medals in the 2004 and 2008 Olympics and was a member of the 2007 World Cup team. Born in Madison, Wisconsin, Tarpley now calls the area home. MOM is grateful that so many companies and groups are leading the effort to end hunger in our community. In addition to the 20 teams who participated in the event and all of the people who generously donated to the team’s efforts, companies both sponsored the event and donated in-kind goods to make the event a success. These donations included the space (KEVA Sports Center), discounts to make the purchase of food easier for teams (Capitol Centre Market with support from Certco, Inc.), structure platforms (donated and installed by J.H. Findorff & Son), food for teams and event goers, donations of media, and more. 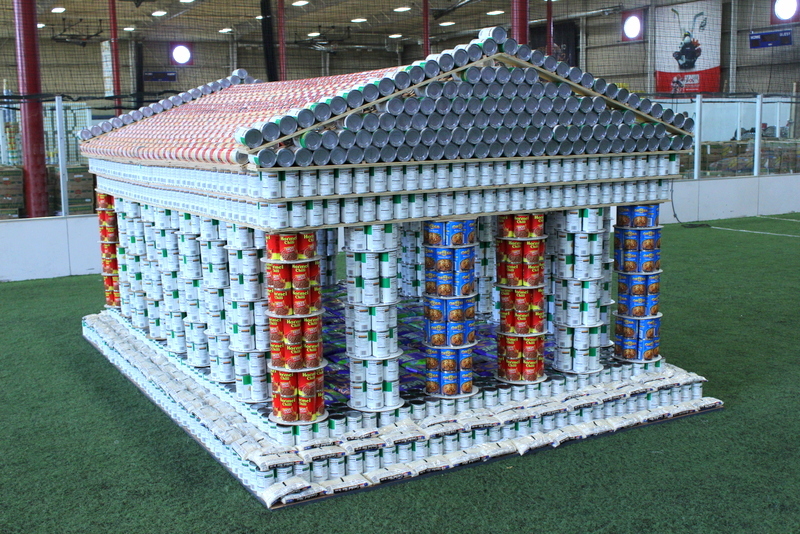 A complete list of sponsors can be found at canstructionmadison.org/sponsors. 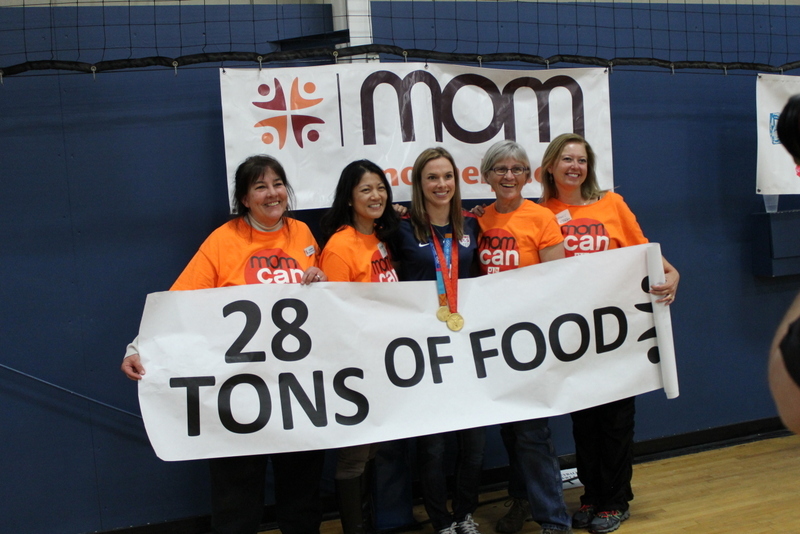 Thanks to the Can-Cans, a volunteer group who helped organize the teams and event. 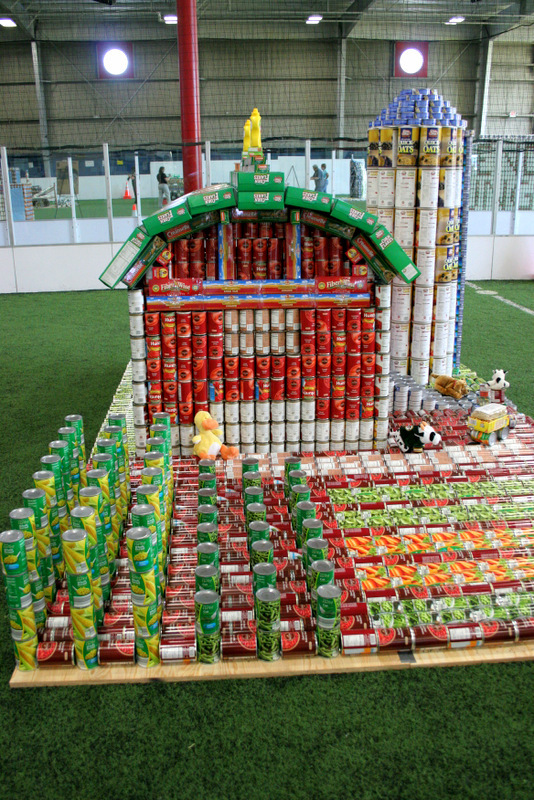 How does a moving roller coaster a replica of Big Ben, and 18 other hand-built structures help end hunger in western Dane County? 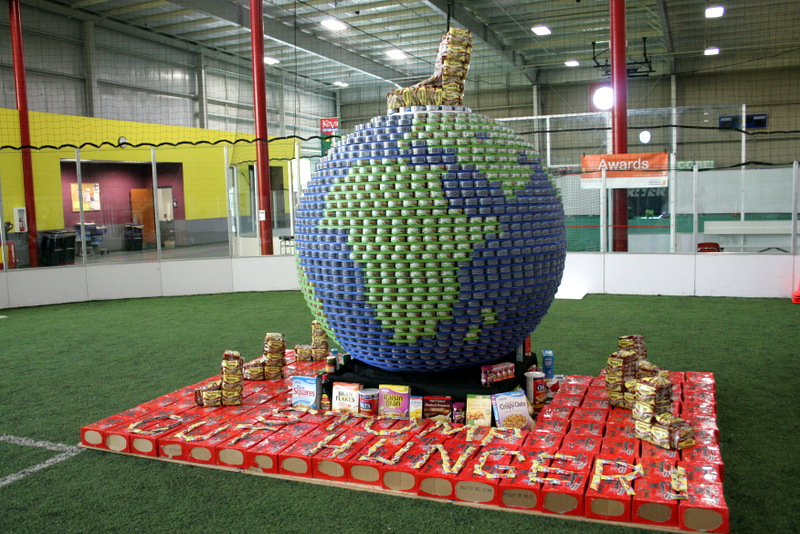 When made from cans of food and packaged goods, the structures’ building blocks will fill the shelves of one of the largest food pantries in Dane County. 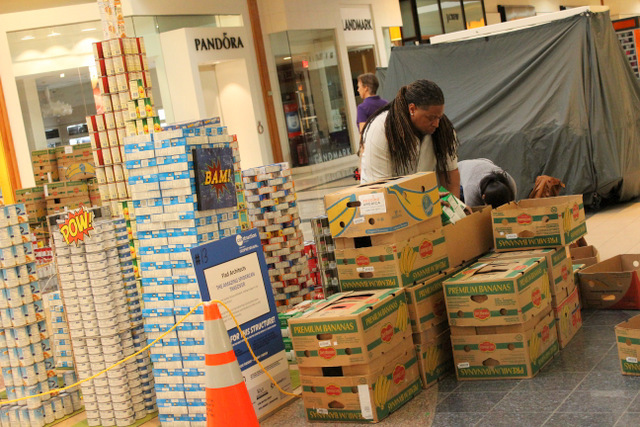 Middleton Outreach Ministry hosted the third annual Canstruction® Madison, which in conjunction with a community wide food drive, raised 28 tons of food to feed area people in need. The event took place at KEVA Sports Center in Middleton. 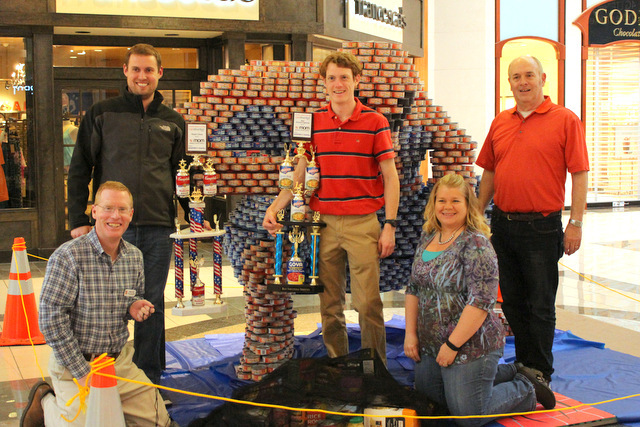 Canstruction®Madison is a competition where community members come together to build incredible, highly imaginative structures out of canned goods and packaged food. After the structures are built and the winners are declared, all food used in the structures is donated to the MOM Food Pantry. Teams plan their structures weeks in advance, and then come together on the day of the event to build their displays. Prior to the evening event, the structures are judged by design professionals and community leaders. 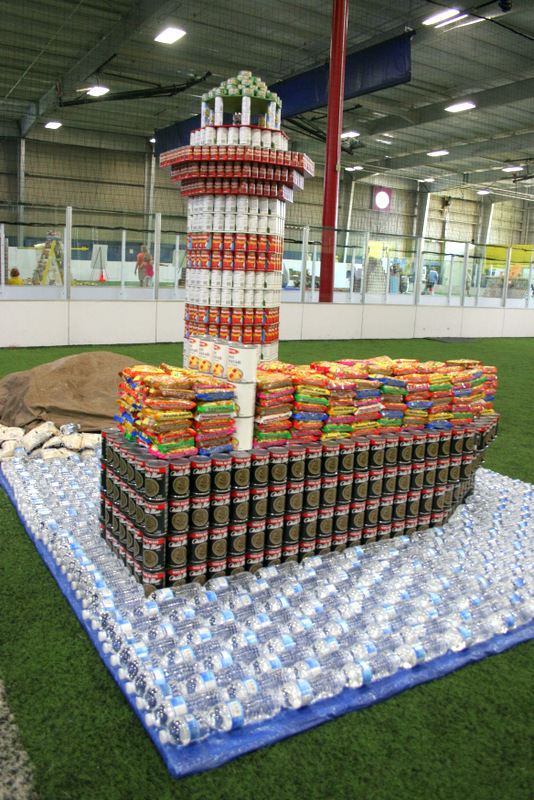 Most Nutritious Meal – Exact Sciences: Wash Away Hunger, a sandcastle built mostly with Baked Beans, surrounded by waves, made with cans of Tuna. 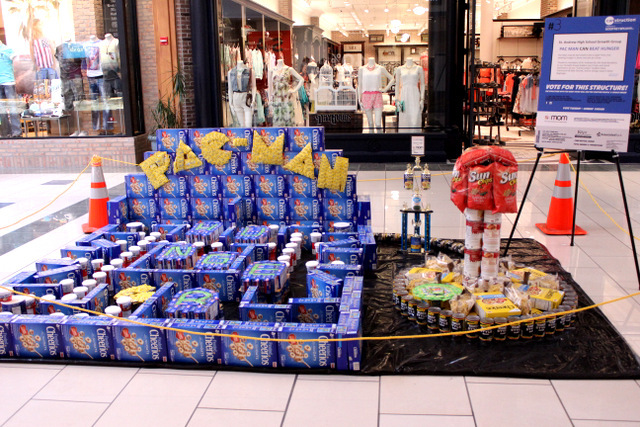 The structure also included rice, and cans of fruit and vegetables. 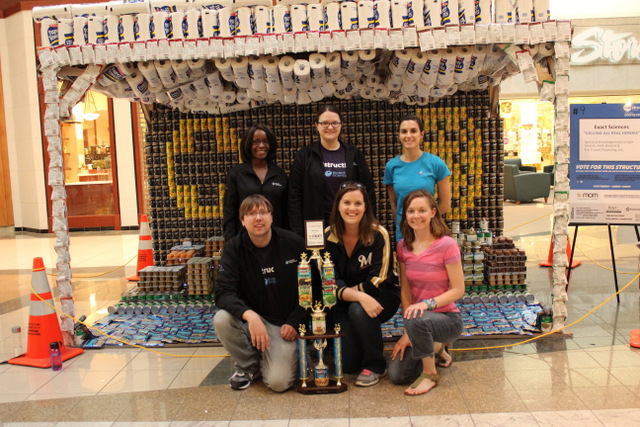 Exact Sciences also won the award for most cans, with a structure that included 6,157 cans of food. 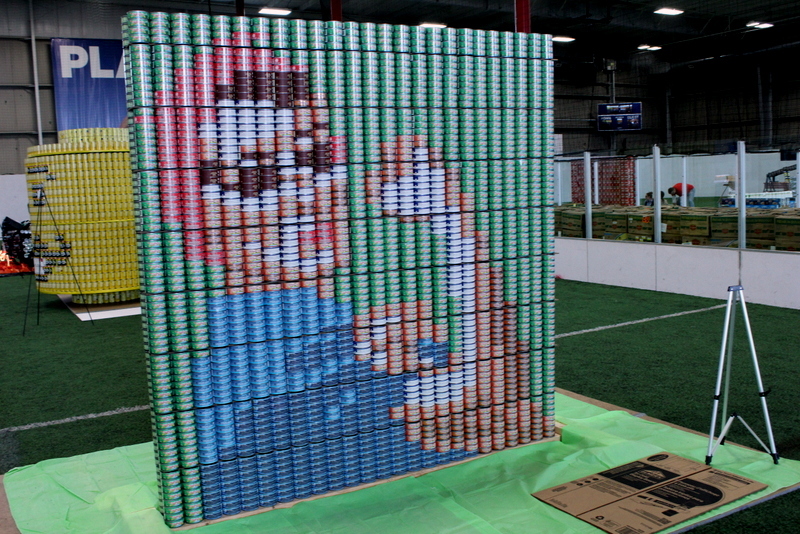 Best Use of Labels – WTS Paradigm: 1-Up Hunger, a structure of Mario wiping out hunger and saving the day. Structural Ingenuity – CUNA Mutual Group: Wishing Away Hunger with MOM, a genie made of tuna on a red carpet. Celebrity Award, presented by Gilbert Brown: Middleton Fire Company #1: Responding to Hunger, a fire-station replica with a talking fire-dog. 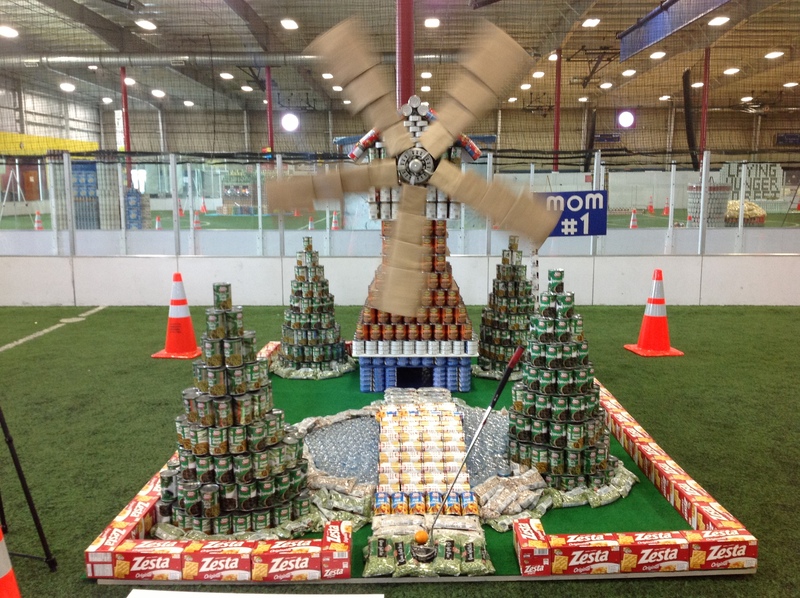 Judges’ Choice – Capitol Insurance Companies: Food FORE ALL, a classic windmill mini-golf hole, complete with moving blades. 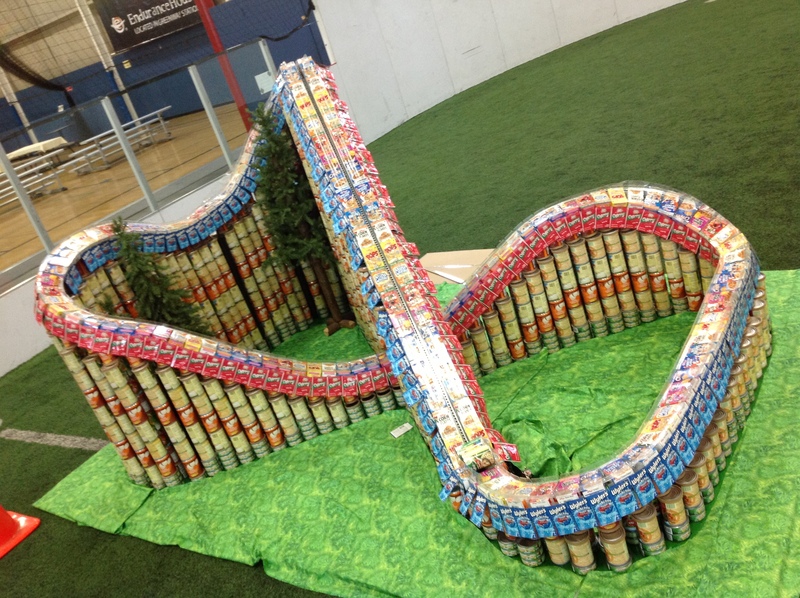 People’s Choice – Thinking Outside the Can: Roller-Canster, a roller-coaster structure with a moving belt and a can (representing the roller-coaster car) that sped it’s way around the track. Youth Award –Middleton E.L.I.T.E. 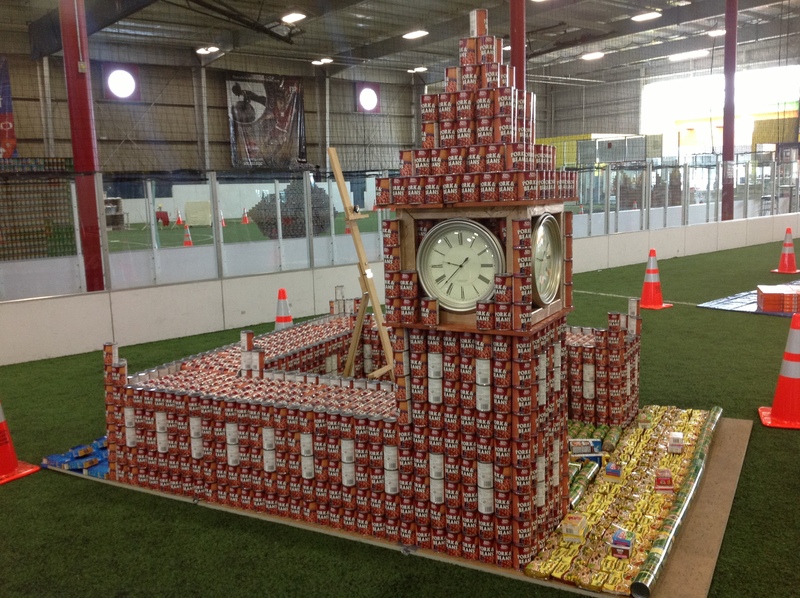 : The Time to End Hunger is Now, a replica of Big Ben. Middleton Outreach Ministry has seen an increase in use of services. MOM, which works to prevent homelessness and end hunger in the West Madison, Middleton and Cross Plains areas, is serving record numbers of people and regularly distributing over 60,000 pounds of food per month, with a total of over 750,000 pounds distributed in 2012. The pantry and mobile food pantries saw over 14,000 visits in 2012, an increase of nearly 20% over 2011 and a two year increase in visits of over 80%. 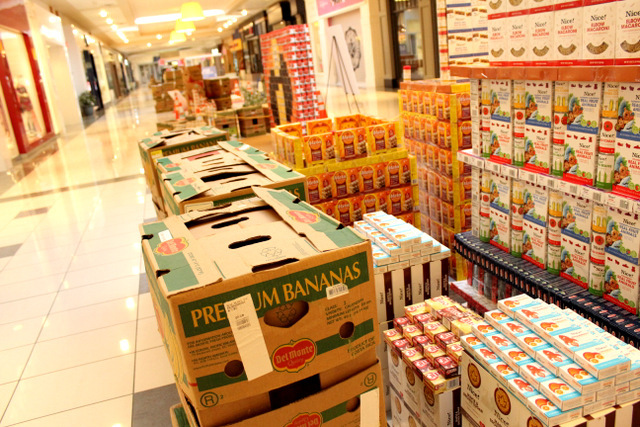 Food pantries also struggle during the summer months. The need for food dramatically increases because children are not receiving free and reduced lunch at school and because donations often decrease as a result of summer travel. 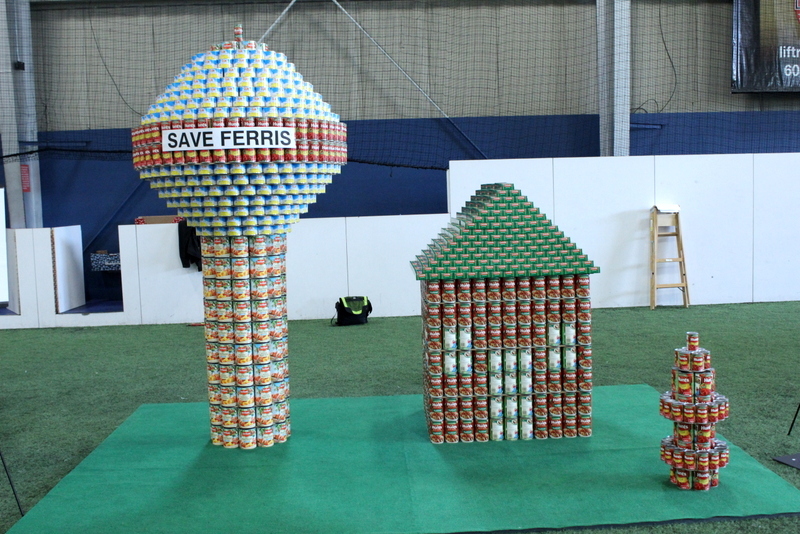 “We selected May for our Canstruction Competition because it will allow us to build up a food reserve going into the summer,” says Cheri Farha, Distribution Center Manager for MOM. MOM is grateful that so many companies and groups are leading the effort to end hunger in our community. In addition to the 19 teams who participated in the event and all of the people who generously donated to the team’s efforts, companies both sponsored the event and donated in-kind goods to make the event a success. These donations included the space (KEVA Sports Center), discounts to make the purchase of food easier for teams (Capitol Centre Market with support from Certco, Inc.), structure platforms (donated and installed by J.H. Findorff & Son), food for teams and event goers, donations of media, and more. 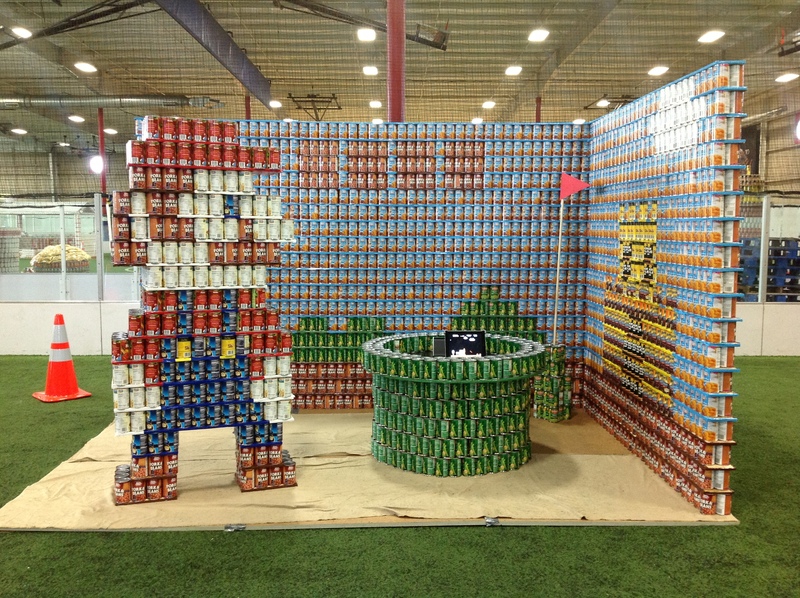 A complete list of sponsors can be found at canstructionmadison.org/sponsors. MOM is a local non-profit organization that leads a community-wide effort to prevent homelessness and end hunger for our neighbors throughout Middleton, West Madison and Cross Plains. Through our business partners, affiliated churches, area schools, community service clubs, and numerous individuals, we provide food, clothing, housing assistance, emergency financial assistance, and special services for seniors. All programs are provided free of charge to neighbors in need. To learn more about the programs and people helped by MOM, log on to momhelps.org. 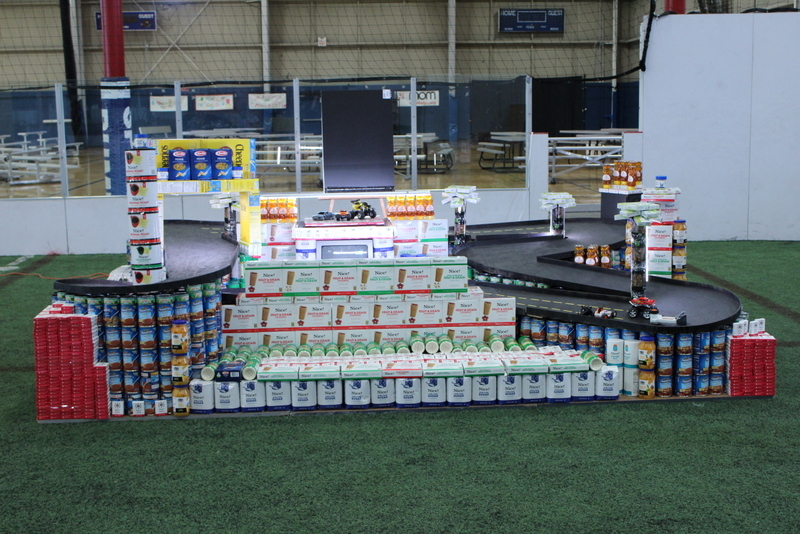 Over a thousand people gathered on the evening of May 3, 2012, to celebrate the completion of months of effort by hundreds of community members to raise what totalled over 28 tons of food for the Middleton Outreach Ministry Food Pantry. 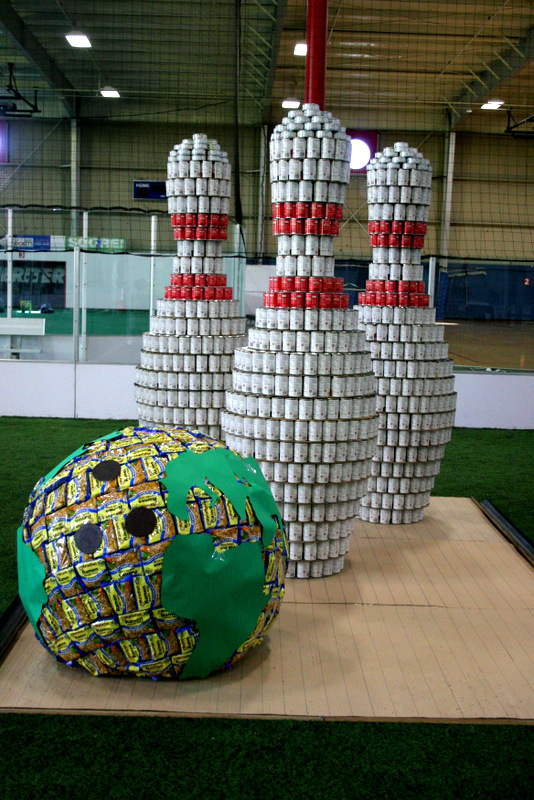 Participants in Canstruction Madison 2012, 22 teams competed for 7 awards which were given to teams in a variety of categories. Area design professionals judged the structures based on a set of criteria. 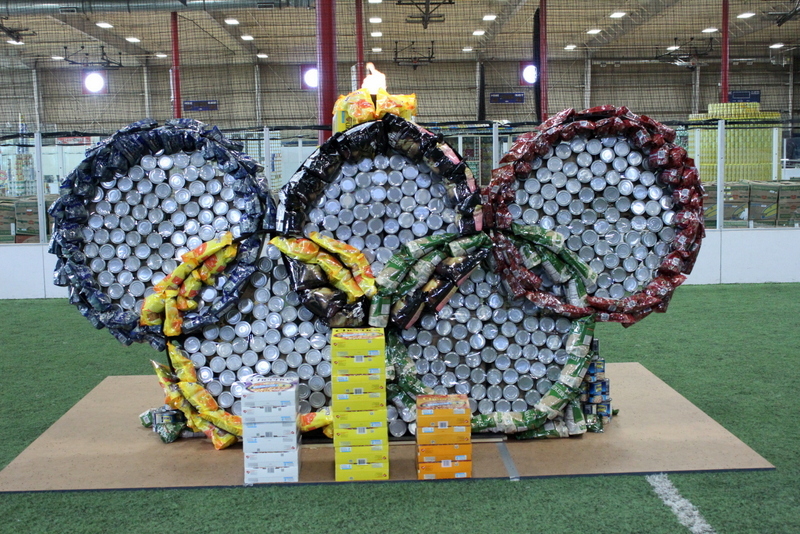 The winners were announced at a ceremony to a crowd of hundreds, all who had entered the event by donating a can of food as a part of a community wide drive. Thanks to everyone who participated, attended or donated to make this event such a success!